Two European filmmakers embark on a thrilling journey through the great Indian wedding season. Their guide is Mahesh Shantaram, one of India's top wedding photojournalists. Together, they will bring a refreshing new perspective to a country that is emerging as a new global power. 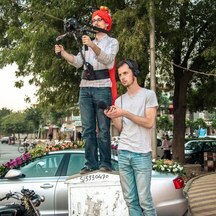 "Two European filmmakers land in India knowing nothing of the country other than the usual stereotypes of an exotic land. They meet Mahesh Shantaram, a photographer with a unique perspective to wedding culture, and join him on a six-week tour across the country during the great Indian wedding season - November & December 2012. With insider access to the upper-middle class society and confronting its habits to their westerner’s point of view, they bring a refreshing new perspective to an India that is true and unreal at the same time." After studying photography for a year in Paris, Mahesh Shantaram decided to specialize in shooting weddings. But don’t expect to see the whimsical romanticism of a perfect union in his work - he’s retained the tradition of documentary photography from his days in Paris, each photo telling a story in itself with the utmost objectivity. 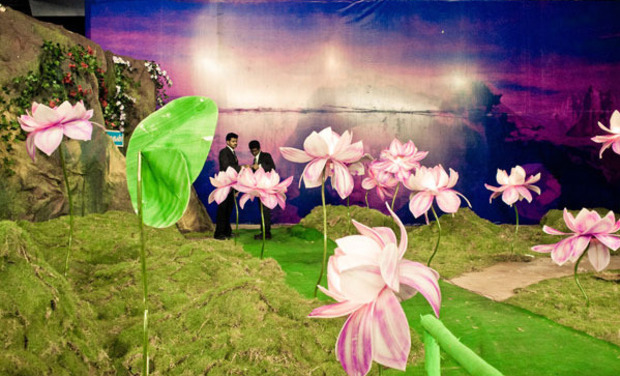 It’s why Mahesh Shantaram’s lens is directed backstage, at the banal, the after-party, the supporting roles. It’s an approach that runs contrary to the usual representation of Indian weddings, for which families borrow heavily and everything must be perfect and resplendent. Like Martin Parr, whom the photographer cites as an inspiration, Mahesh Shantaram embarks on a reflection on society, with its emphasis on appearances and consumption. The choice of the wedding theme is certainly a brave one, considering the entrenched nature of the institution in India. Mahesh Shantaram was a category winner in the Kodak-Better Photography Wedding Photographer of the Year awards. 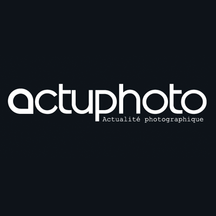 His personal project Matrimania has received international exposure, most notably the Sony World Photography Awards 2011, at the Photoquai biennale (musée du quai Branly, Paris), and PhotoPhnomPenh. We are Maximilien Van Aertryck and Vincent Bitaud. We met in 2010 during the Cannes Film Festival. Over the many screenings we enjoyed together, we quickly felt that we wanted to join forces and make films. The year after, we embarked for nine nights on a passenger ferry crossing the wintery Baltic Sea. The result was Icebreakers, a short documentary film that competed in many international festivals around the world, such as Visions du Réel and the Hamburg Short Film Festival. This encouraging debut helped us on the preparation of our much more ambitious next project, Matrimania the film. We imagine a film in two distinct parts: at first, the cultural divide between our western cultural backgrounds and the Indian setting will be what will strike us and our camera. During this acclimatisation period, we hope to shoot enigmatic scenes that will reinforce our outsider status (and that of the spectator as well). We want to invoke the insecurity of being in a new and strange environment while also capturing the excitement of exploring the unknown. In the second part, the understanding of what we witness will grow, and will enable us to understand more of this fast developing nation, and the conflict between its millennial traditions and a part of our own westerner's culture it tries to embrace. After traveling abroad, we often remember the beautiful landscapes we saw through the train window, or the song we did not understand a single word of that all the pub visitors ended up singing on a specific evening. We remember the smile of a grocer, which we gained after having said "thank you" for the first time in the national language. These are the feelings that the viewer will be caught in Matrimania's storytelling. The documentary format allows us to blend into our environment in order to observe it in the least obtrusive fashion. If we ever feel our presence changes the nature of what we film, we try to include that in the final result without hiding it from our audience. Starting with the film’s introduction we want to let our presence leak into the image. Without seeing or even hearing us, the people's gaze at our presence and one of our cameras will illustrate the special status of our attendance. Just like us, you will be led to question your own identity and the place it holds in a world packed on preconceived ideas. Unlike most documentaries that support the viewpoint of the filmmakers, our approach is based on touching you in a personal way through the natural power and drama of the images and situations we encounter. We aim to create an environment where you will be invited to feel like any other guests of these spectacular events, without being told where to look at. Our role as filmmakers is to bring you to a state of mind where your own feelings will step in, making the viewing of Matrimania a unique and personal experience. Click here to pick out your print ! Our first film, Icebreakers, cost 2000 Euros and every cent came from our pockets. For Matrimania, which logistically is a much more ambitious project, we are reaching out to all you amazing crowdfunders to help us finance the most vital costs in the first and second phase of our journey. They will allow us to run a smooth shooting. This campaign is 30 days long and will end a few days after we have attended the first marriage with Mahesh. After this date, we will crucially need your fundings and that is why we are going to rock this campaign together :-) ! - Accomodation and food costs for the first two weeks of our shooting. Rental of gear : 1500 euros (additional lenses and microphones, and a decent video tripod). If you don't have the possibility to help financially you can always help us by spreading the word!